Pepperidge Farm's 75th anniversary is August 15 and the company has launched a bunch of new products to celebrate. 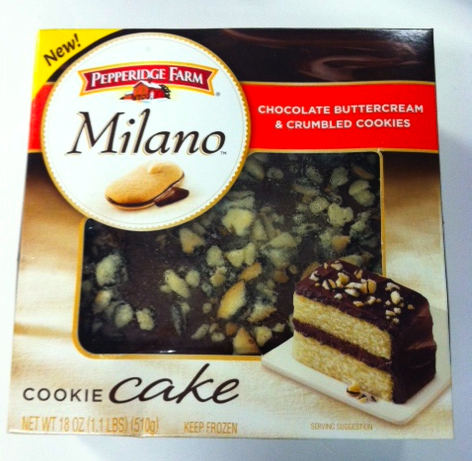 While new bread and cracker varieties may excite some, we're pretty sure we've found the belle of the ball: Milano Cake. No doubt the company was wise to bank on its cookie that has achieved cult status among fans young and old. Milanos may come in a variety of flavors (and now even more -- Salted Pretzel and Vanilla Creme have just launched) but they still follow the same general formula of a combination of cookie and filling. That's why, when we heard about a Milano Cake, we immediately started dreaming -- would this be a cake with cookies as one of the layers? Is the cake somehow made of cookies? Will this change the face of Milanos as we know them? Turns out, we dreamed a little too big. 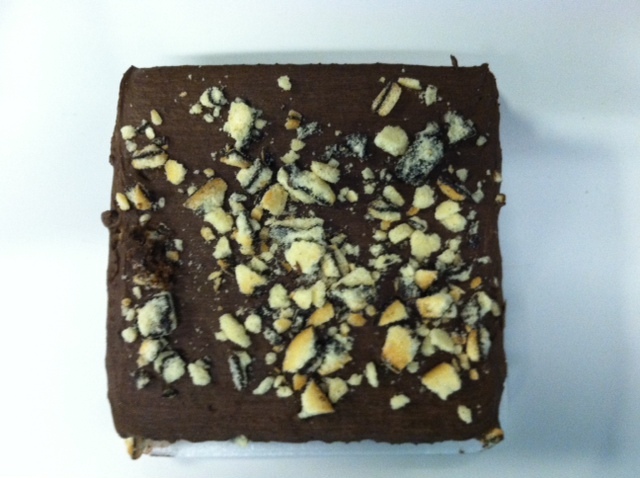 The Milano cake is quite tasty as far as frozen grocery store cakes go, but its rather short on actual Milano cookies. The Milanos are crumbled atop as a sort of cookie topping, but don't actually appear in the cake itself. Still, the cake isn't bad -- the two-layer chocolate buttercream frosting and vanilla cake are pretty standard as far as store-bought cakes go, but the frosting happens to be especially good (and by "good" we mean, it tastes like Duncan Hines from the can). Also debuting along with the Milano cake is the Chocolate Chunk Cookie cake, it is basically the same idea but chocolate chunk cookie pieces instead of Milanos. The cakes will be available this month for about $6.59.